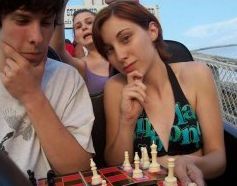 The gag is that a prankster is gluing down his chess-pieces so that he can get on a roller-coaster, sit in the front seat, and be photographed deep in concentration over a gnarly chess-problem while behind him the rest of the coaster’s riders go berserk. 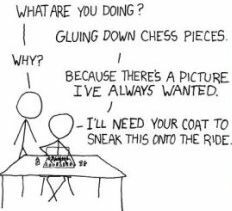 More over at xkcd. Yeah, I admit that this is „special” humor.